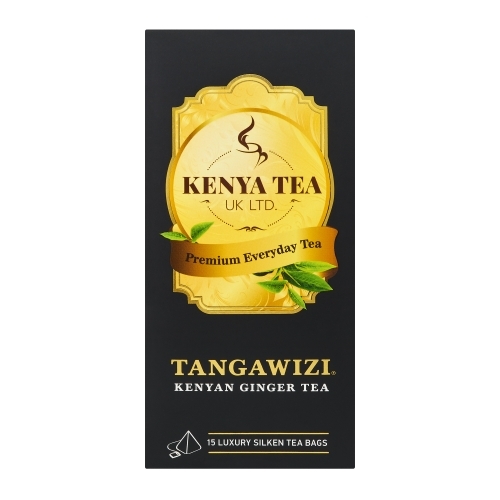 Tangawizi tea is a rich and delicate blend of Kenyan black tea with freshly dried ginger (Tangawizi) for a truly invigorating and warming tea experience. Awaken your senses with our irresistible flavoured black tea and fall in love with the sweet aroma and subtle ginger taste. Large leaf tea, the flavour is absolutely lip-smacking. Health benefits from ginger include improved digestion and circulation. 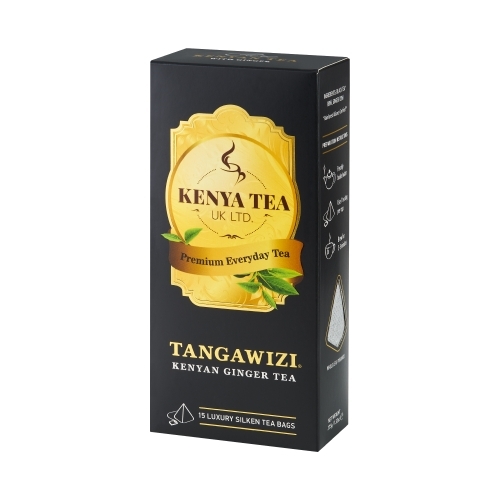 Rainforest Alliance Certified™ Kenyan Tea. Hand-picked and small-scale farmer grown. Pesticide-free, no chemicals ever sprayed on the tea leaves. Boil freshly drawn cold water*. Use one bag per person per cup. * For a perfect cup, use filtered water.